Confusion with security backing paper. 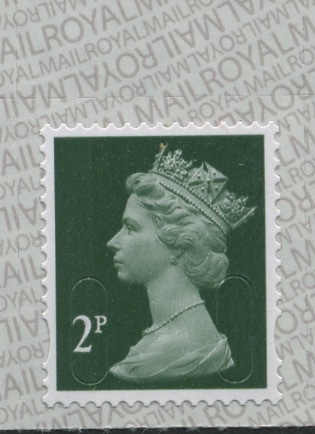 A reminder to customers and other collectors that security backing paper (type 2) on counter sheets varies widely as to its depth and appearance. On some single stamps the SBP2 is very difficult to see leading to the belief that this is plain paper. Here are examples of the 2p and 10p which show possibly the greatest contrast. And these are both 2914a.7, the 1st class counter sheet M17L on SBP2. Yes, they are from two different printings, both by De La Rue. As it happens they are also the two different types of SBP2 but we must remind customers that we do not stock these variations, nor list them in our checklist. 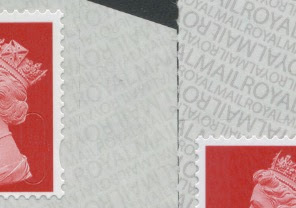 If you believe that we have sent the wrong stamp, please contact us first, just as you would if you were buying on eBay (this is in our T&Cs). 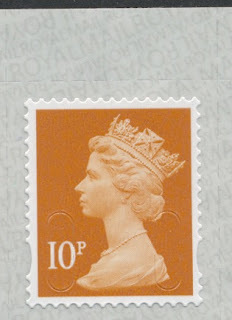 If we are wrong, and it is a low value stamp, we will probably send you the right stamp (if available) with your next order, without you having the expense of returning the one you didn't want. On the other hand, as with the 10p shown above, we may explain that we have actually sent the right stamp, you just can't see very easily that it is the right one!